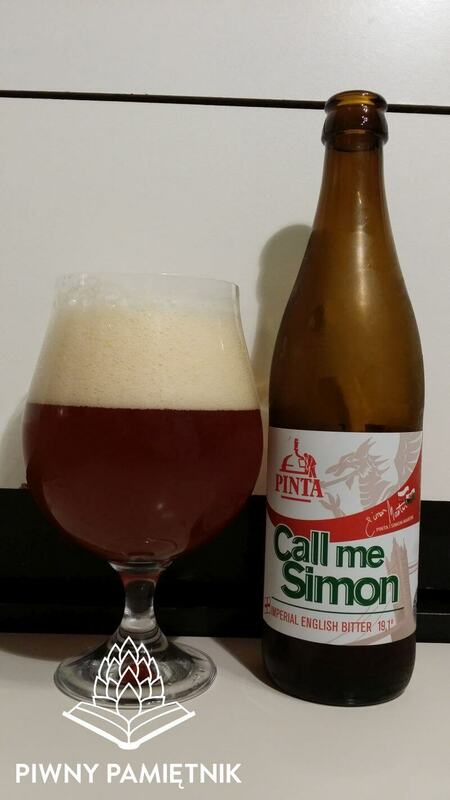 Call Me Simon 2015 z Browaru Pinta Styl: English Strong Ale / Imperial English Bitter Ekstrakt: 19,1 % wag. Alkohol: 8,1 % obj. Goryczka: 80 IBU Warka ważna do 11.12.2015.